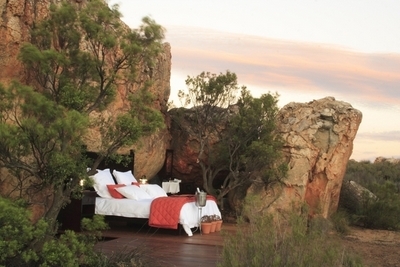 Kagga Kamma is situated in the peaceful southern Cederberg Mountains. The location of the lodge was once home to the Bushmen and today many of their ancient cave paintings are still clearly visible on the rocks (some dating back 6,000 years). The Cederberg is well known for its strange rock formations and clear skies. 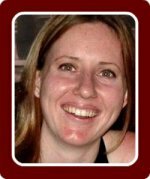 Bushmen Lodge offers five en suite thatched rondavels, suitable for families with children. 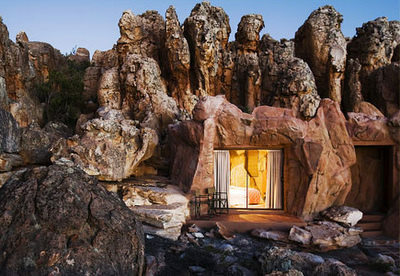 There are also ten unique "cave suites" built against the sandstone rock formations blending perfectly with the surrounding landscape. The lodge has a restaurant for breakfast and lunch and an outdoor lapa for dinner under the starlit night skies. Situated on a remote rocky outcrop far away from the lodge you can simply choose to sleep outside if the weather permits. Guests can choose to either have a picnic basket for dinner or depart to the outcrop after dinner at the lodge. Rest Camp consists of various 3 bed-roomed chalets. These are however only available to Timeshare Owners & RCI exchanges. Facilities for up to 80 people are available making this an ideal venue for intimate weddings or conferences. Relax Spa gives you an opportunity to indulge yourself with a range of massages, a facial, a manicure or pedicure. Rangers will interpret the Bushmen paintings and their fascinating ancient culture, on guided walks, quad bike safaris and drives. Spot resident species, such as, Black Wildebeest, Ostrich, Zebra, Springbok, Bontebok, Gemsbok and many other antelope species including the huge Eland. Observe the stars and planets at the Mini-Observatory through the 10-inch telescope.